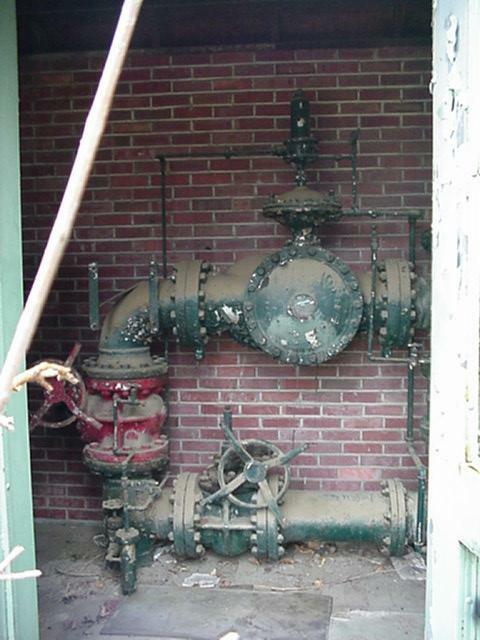 The first page of Highland Park photos is available and serves as an intro to this one. 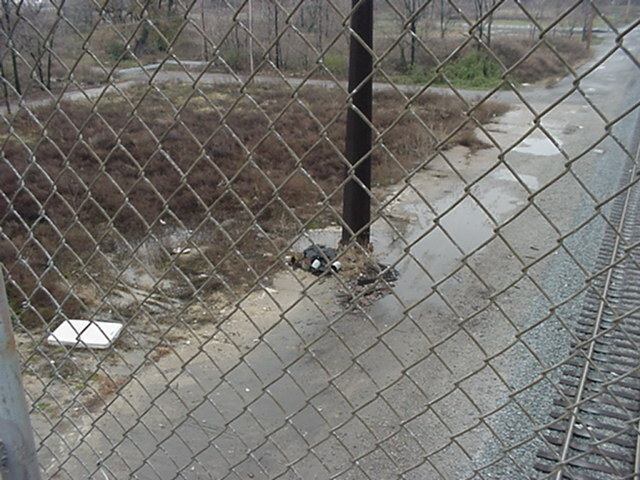 These were taken on the afternoon of 26 November 2000, three days after the previous set of photos were taken. Skies were overcast, but fortunately the camera is at least pretty good when skies are overcast. A circular sidewalk type thing at the northwest corner of Park and Woodlawn. 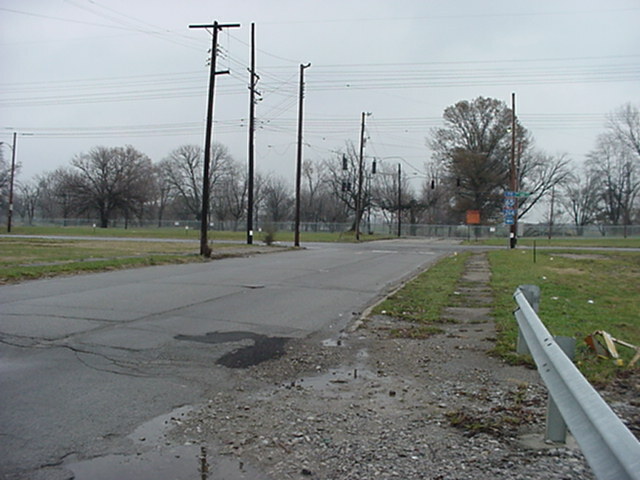 Looking east on Woodlawn towards Crittenden Drive. 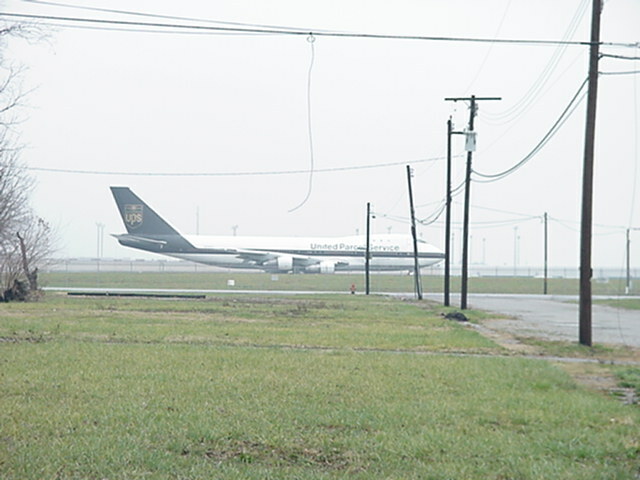 The UPS 747 shows how close one of the new parallel runways really is. 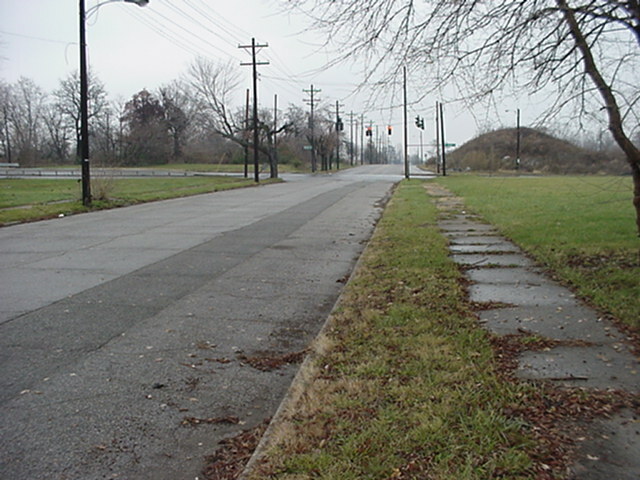 Looking north on Park Boulevard from Woodlawn, towards Nevada. 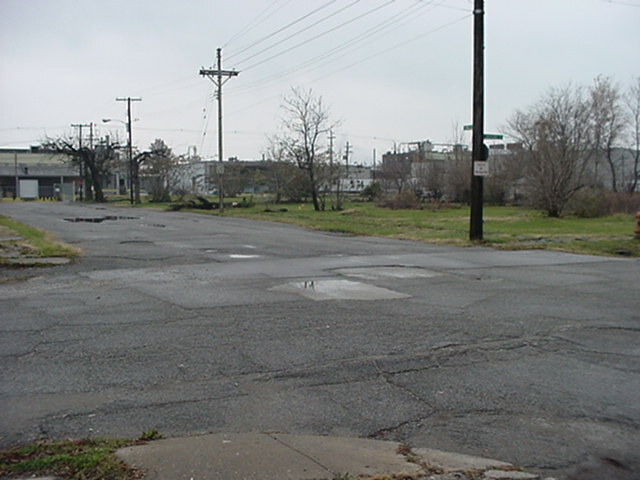 Intersection of Woodlawn and Park, looking southwest. 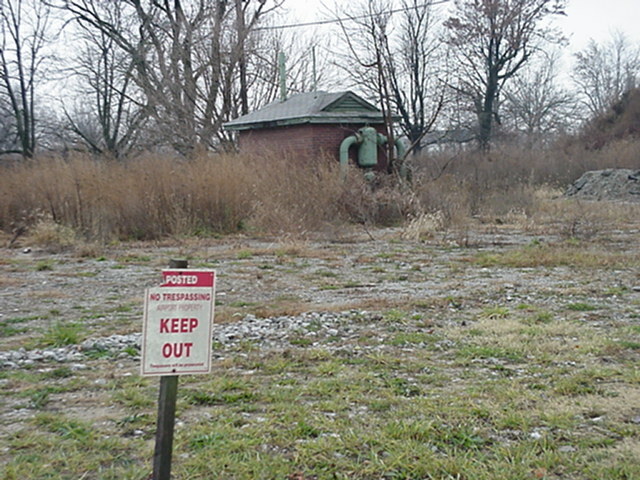 Notice some of the industrial businesses that still remain. 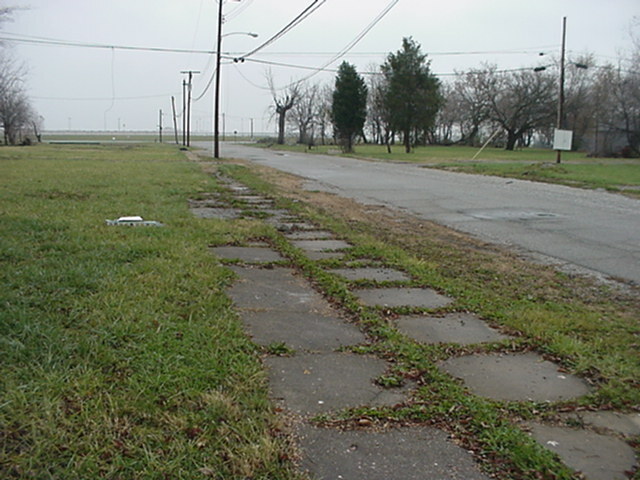 Looking east on Woodlawn towards Crittenden, with a wide-angle shot this time. 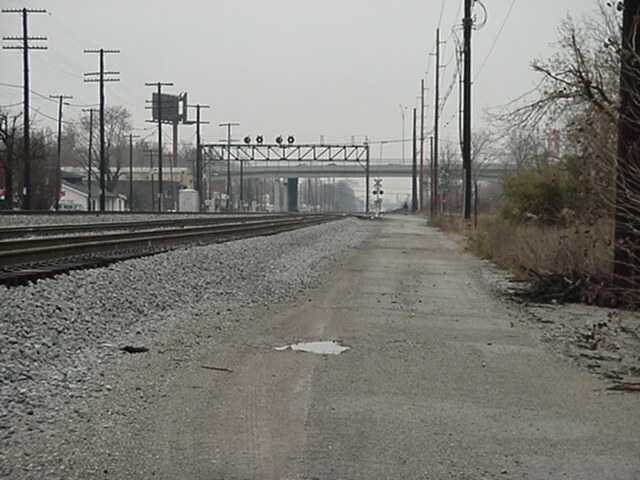 Once again, looking north on Park from Woodlawn. 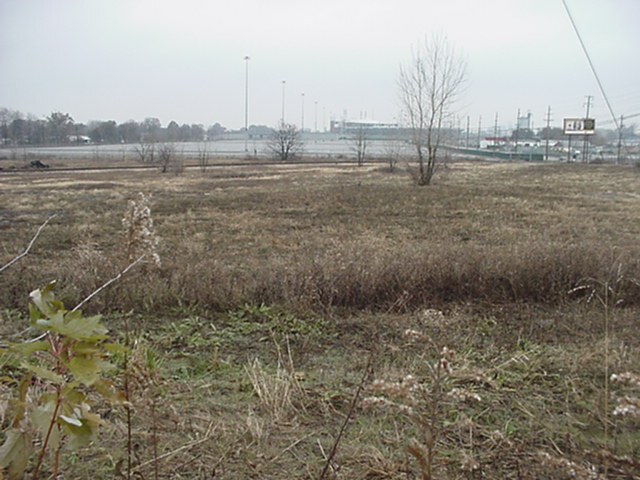 Looking northeast from Woodlawn and Park. Traffic lights at Park and Nevada on the left. 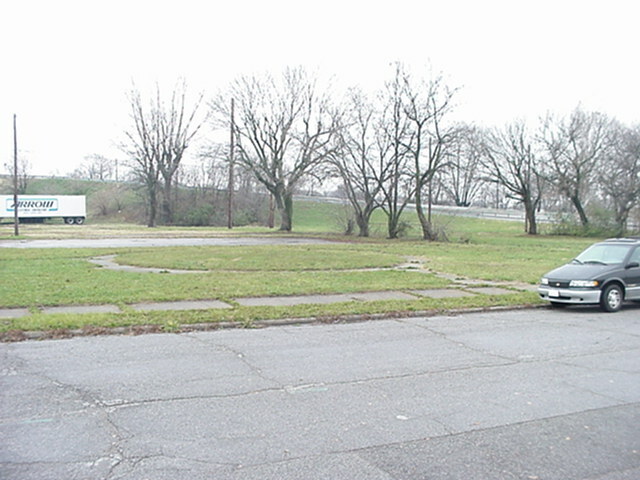 Another shot looking north-by-northeast from Park and Woodlawn. Looking north-by-northwest at the intersection of Park and Hiawatha now. Signals are flashing yellow. 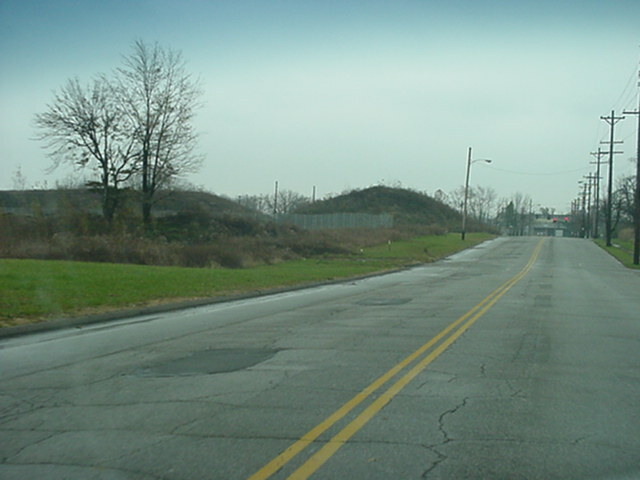 Looking west on Hiawatha from Park Boulevard. 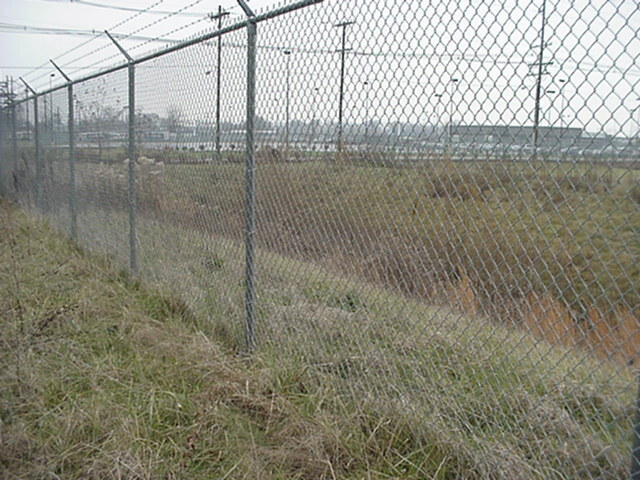 Note the barracaded remnants of Highland Park's comprehensive network of alleys. Also note how pretty much everything west of the tracks remains. 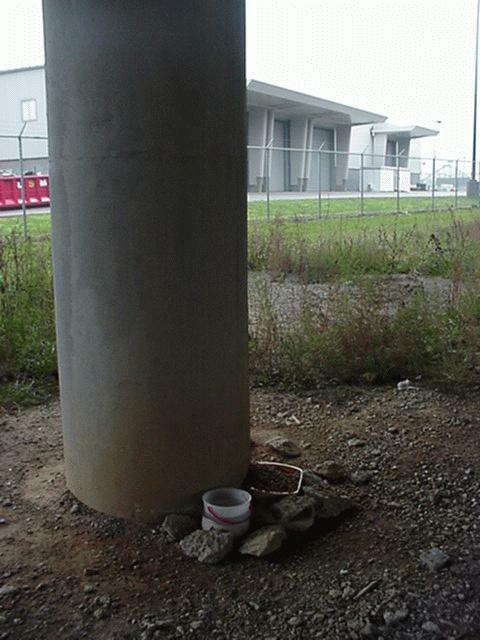 The empty land is technically property of the Regional Airport Authority, just incase anyone's walking around. 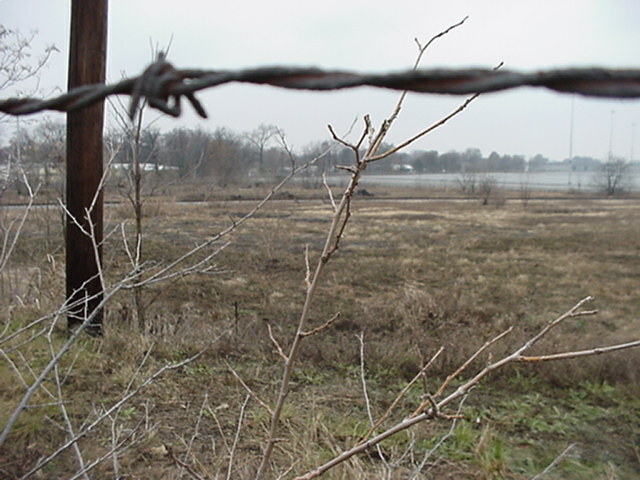 In the background is an old building related to gas southwest of Park/Hiawatha. 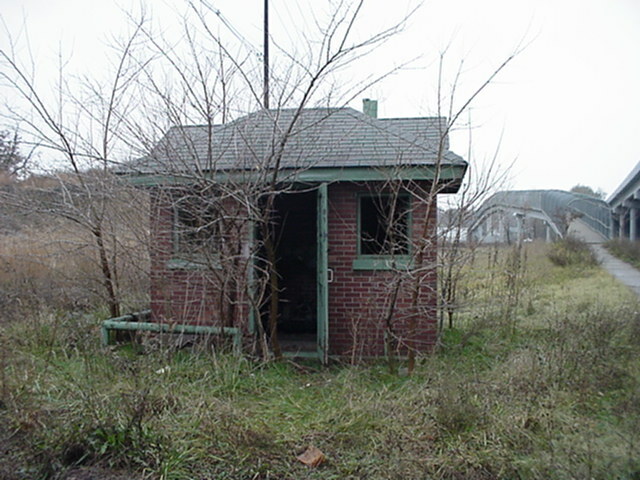 Another shot of the abandoned building. 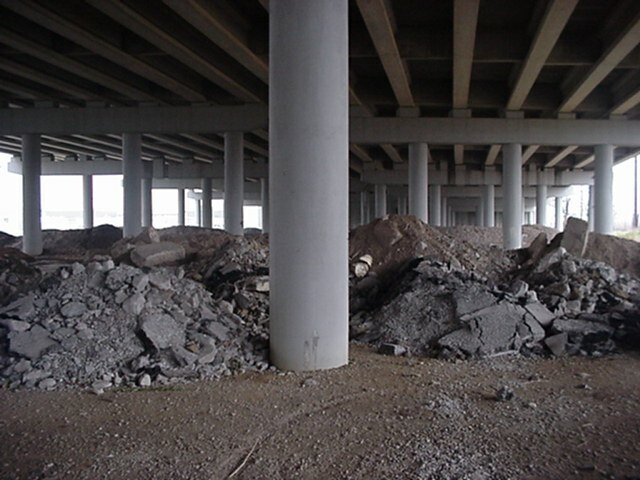 You can also see what remains of an alley. 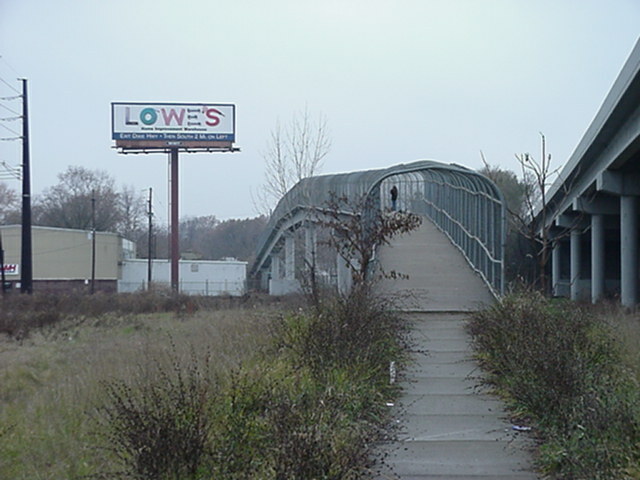 Hiawatha, looking east towards Park Boulevard. 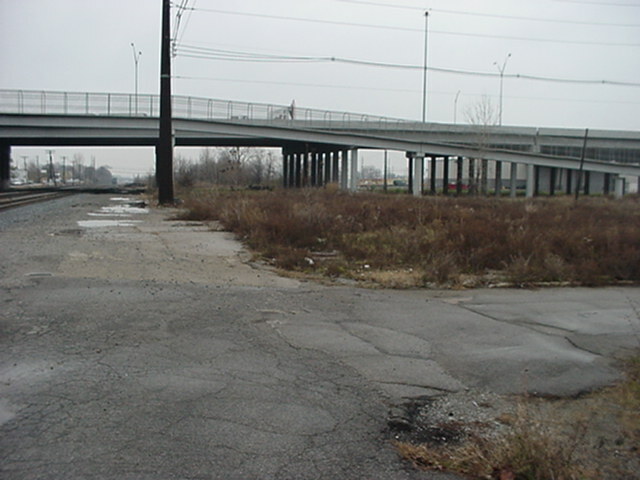 Louisville Avenue, looking north towards Ottawa and the Watterson Expressway. 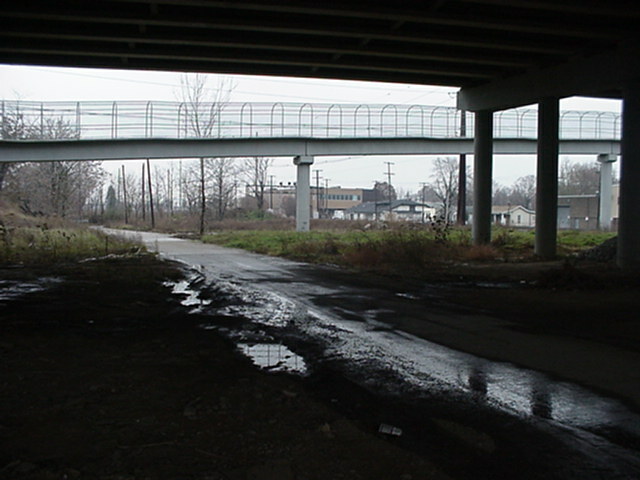 Louisville Avenue, looking south towards Ottawa and the Woodlawn Overpass. 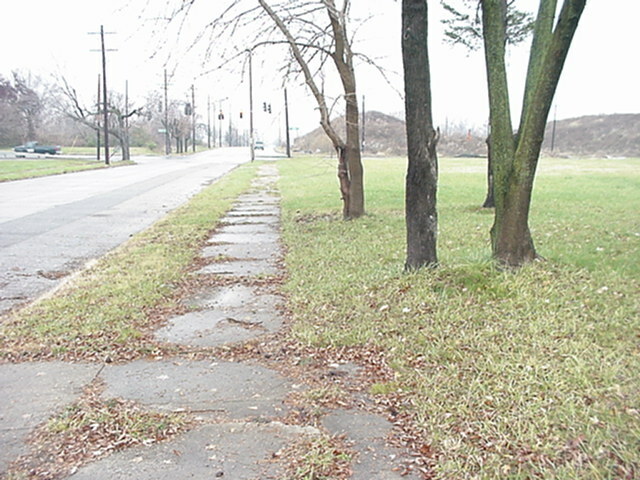 Louisville Avenue, looking north. 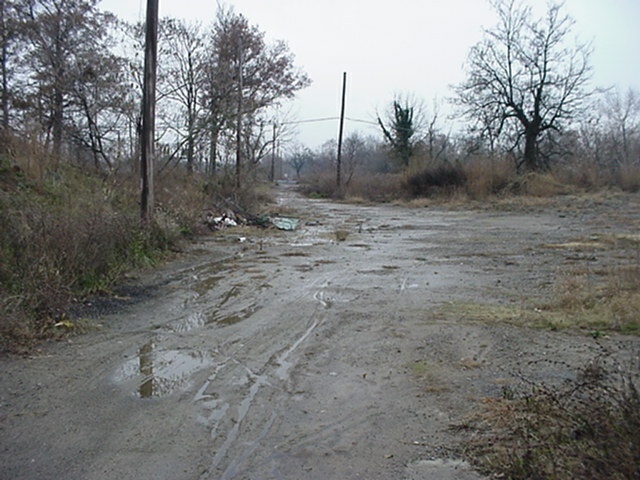 The barracaded street was either Mohawk, Wampum, or one of the alleys. 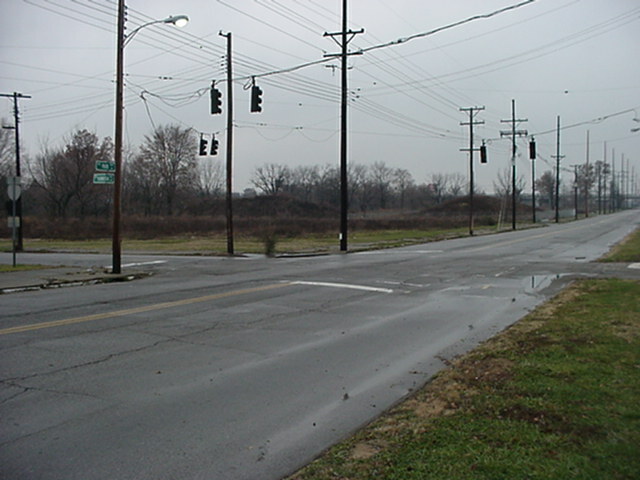 Louisville Avenue, looking north from the intersection with what was once Southern Heights. 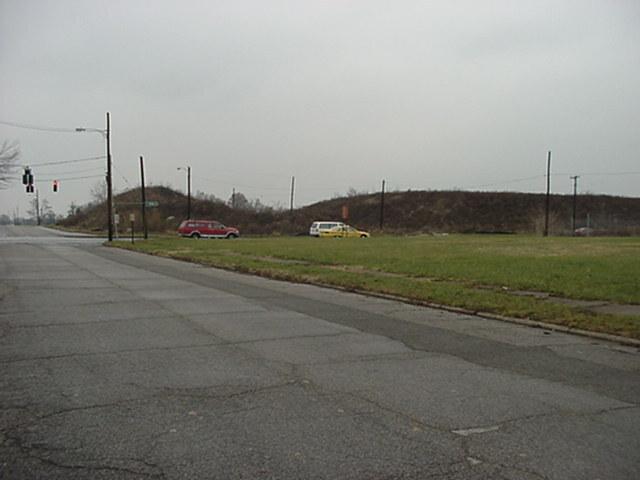 What was once Southern Heights was the jog you had to take to continue on (eastern) Louisville Avenue. Another shot looking north from Louisville and Southern Heights. 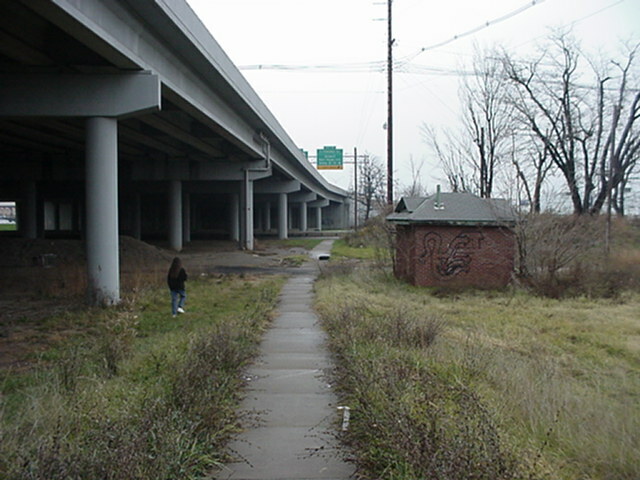 Louisville Avenue, looking north from just past the Watterson. 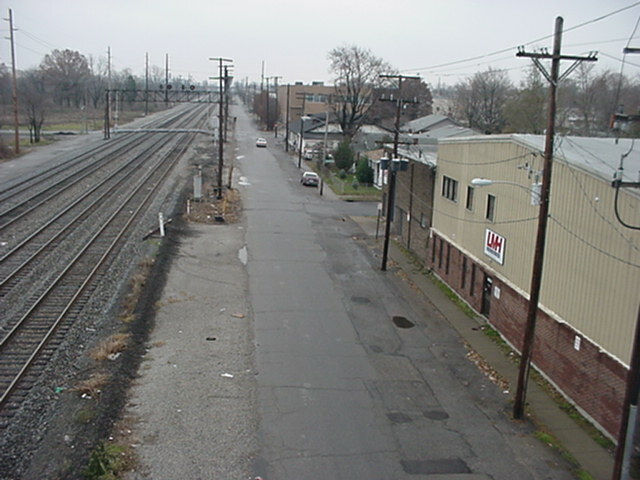 Looking west towards (still existing) Adair Street on the other side of the tracks. 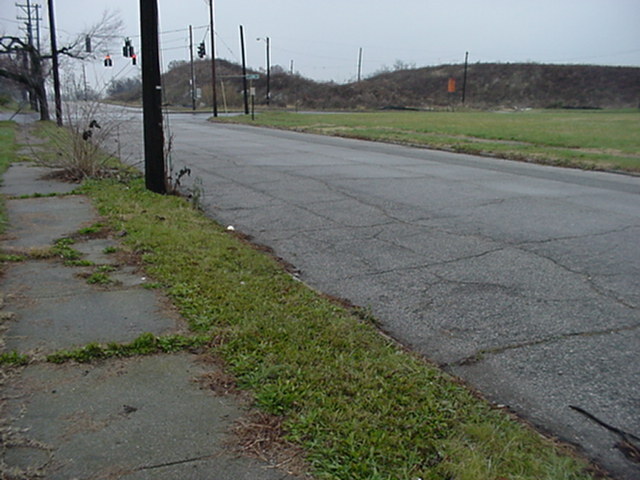 Looking east towards Park Boulevard along where I believe North Adair Street once existed. 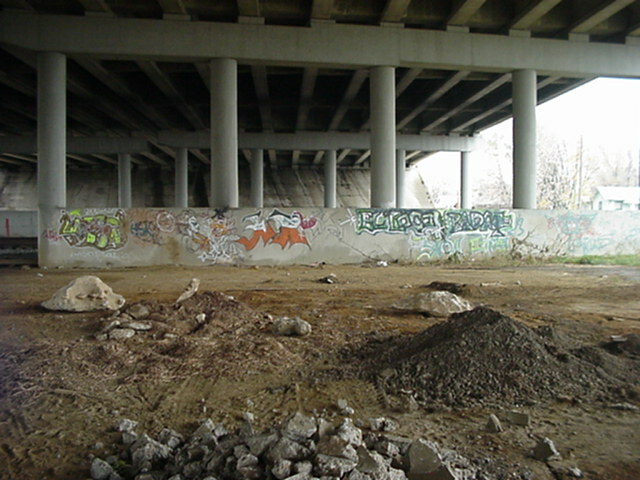 Under the Watterson, looking west at some graffiti. 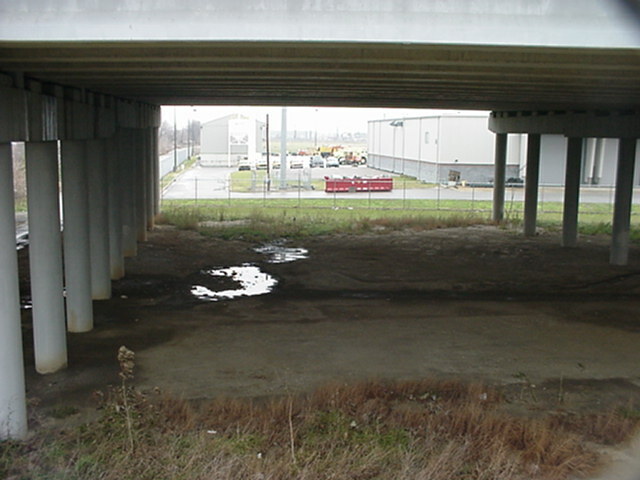 Looking southeast under the Watterson. 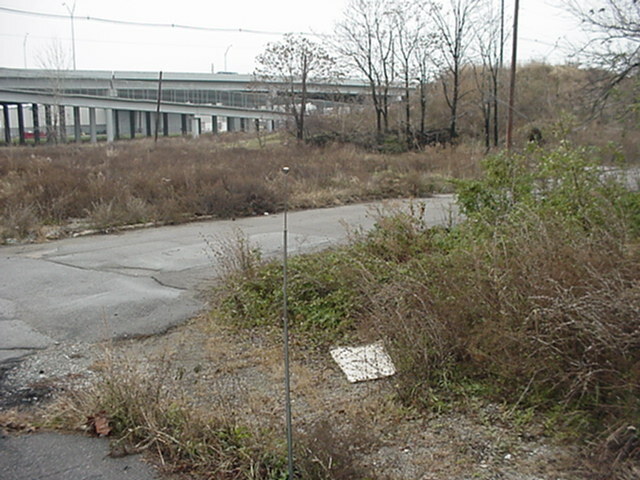 In the background is a pedestrian walkway over the railroad tracks which was rebuilt a few years before the neighborhood got bought out. Someone tried to feed some animals here. 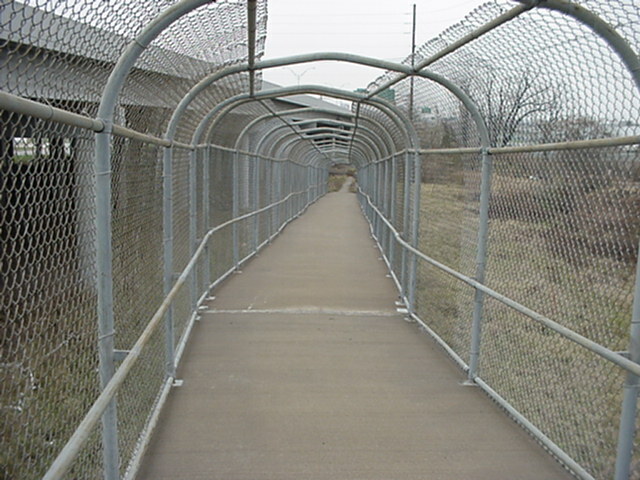 The mighty pedestrian walkway, looking west. 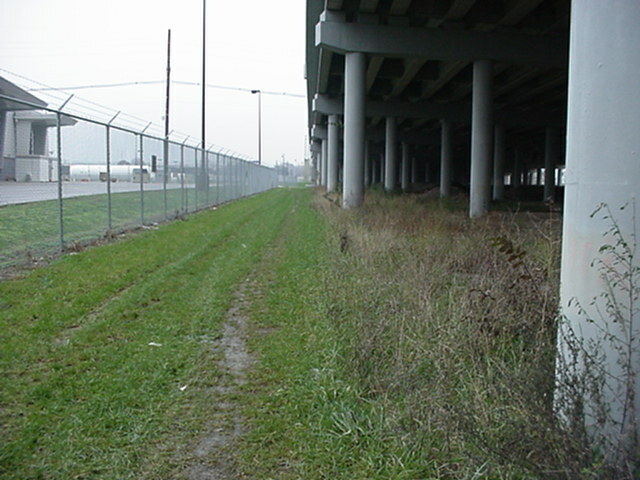 Looking east from the walkway on the sidewalk leading to Park Boulevard. 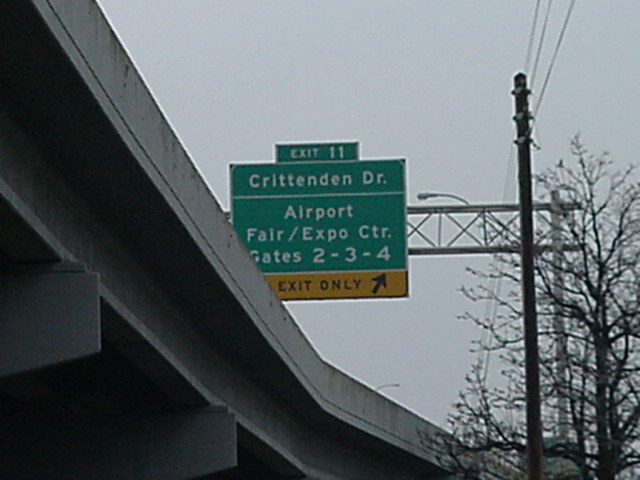 A Big Green Sign on the Watterson for Crittenden Drive, the Airport, and the Fairgrounds. 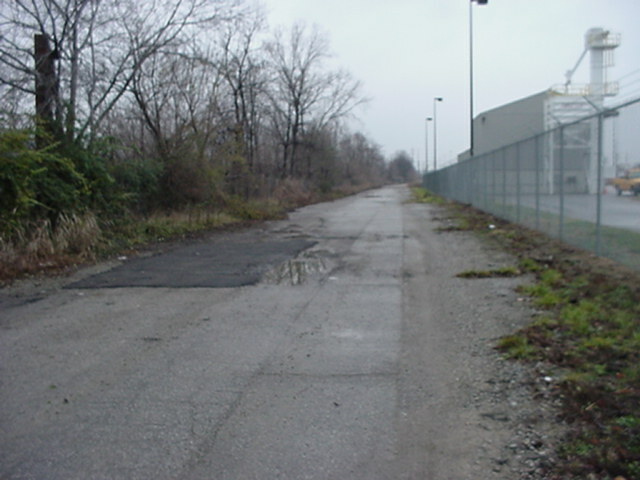 Looking south on what was a north-south alley west of Park Boulevard, towards Southern Heights. 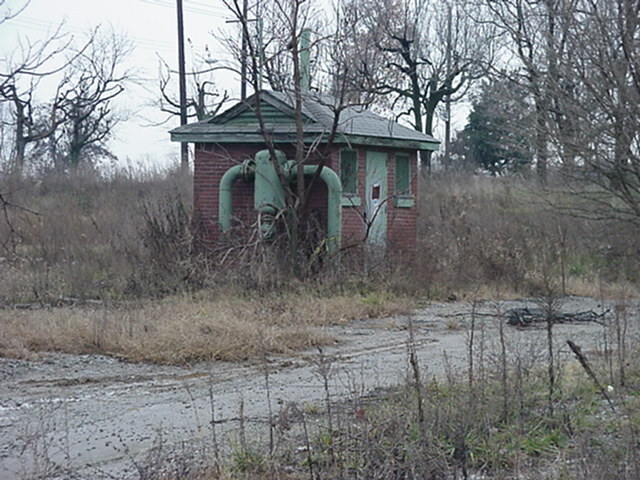 The front of the abandoned gas building. 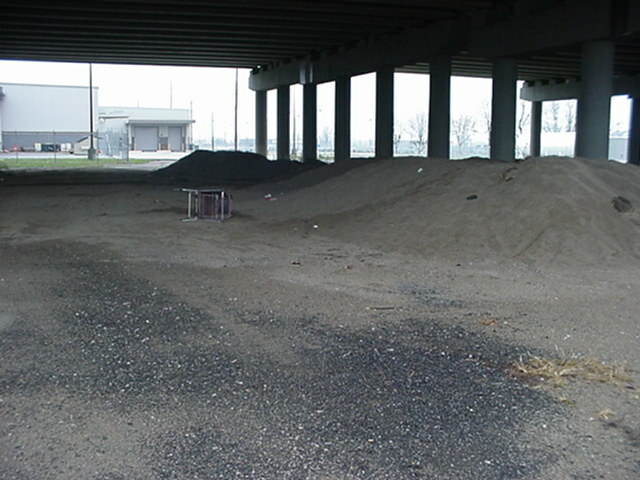 This building provided shelter for at least one homeless person. 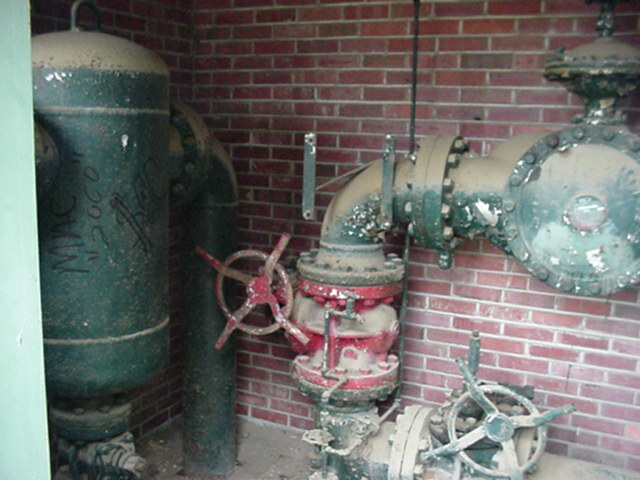 Inside the abandoned gas building near Southern Heights and Park Boulevard. 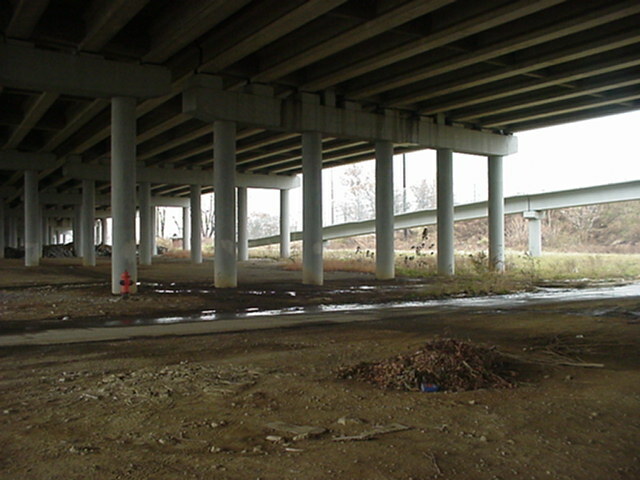 Another view under the Watterson. 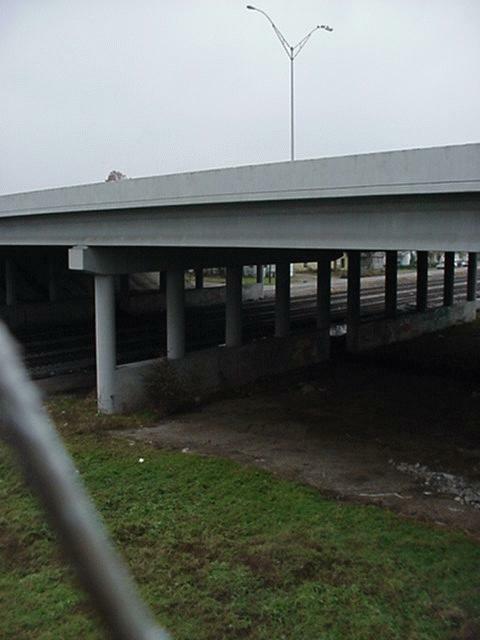 There was actually pretty much nothing under the Watterson in the last few years of Highland Park's life. 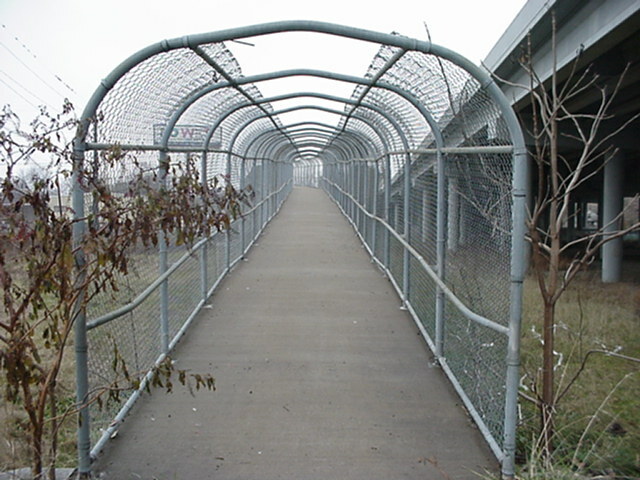 Another shot of the pedestrian overpass. 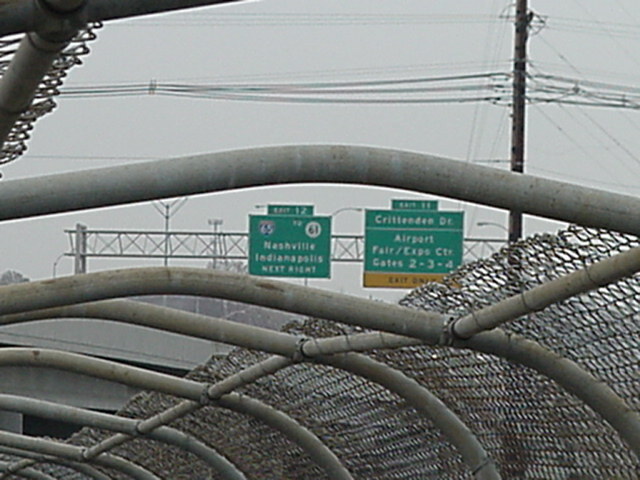 Looking from the overpass northbound on Louisville Avenue. 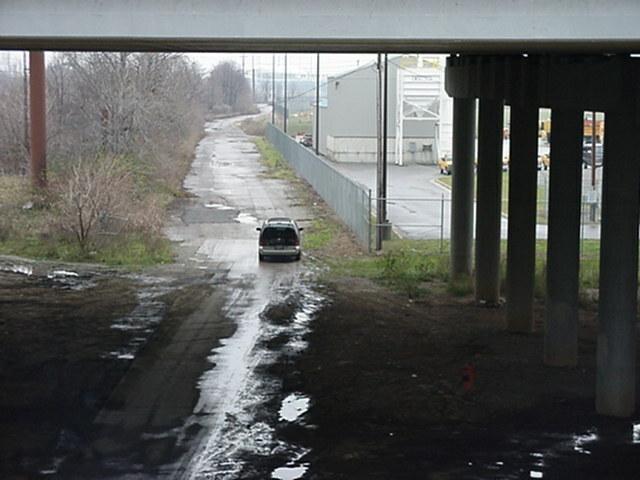 Looking from the overpass southbound on Louisville Avenue. 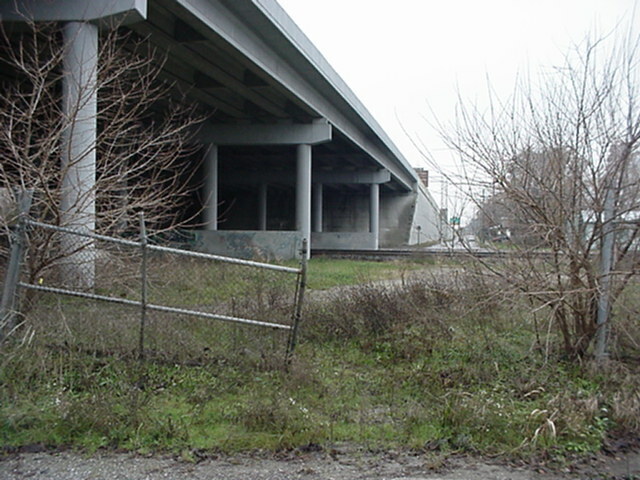 Intersecting street is what was once Southern Heights. 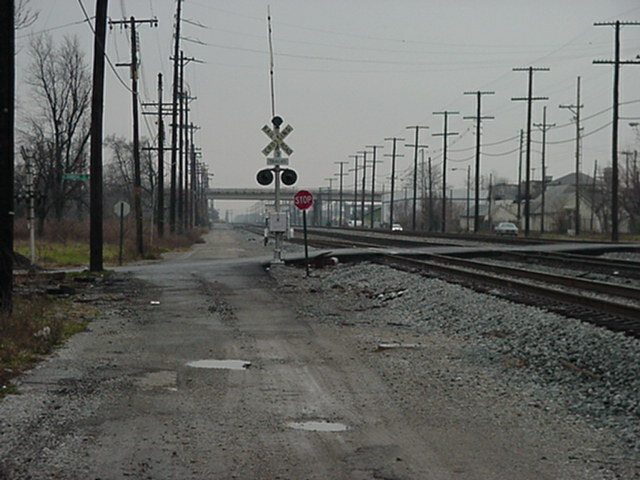 Louisville Avenue continues alongside the tracks. 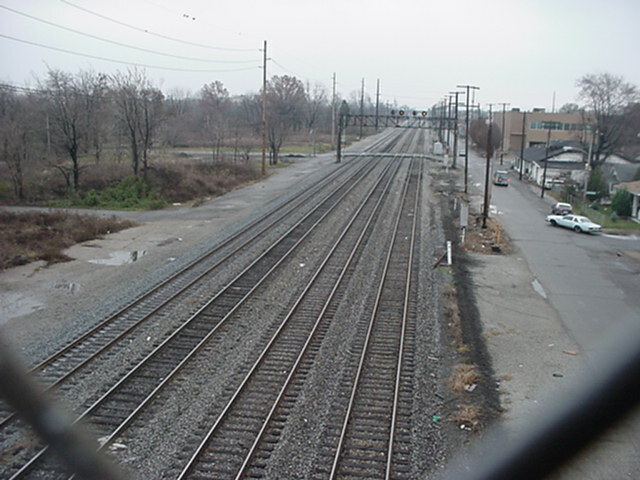 Looking northwest at the Watterson and the tracks. 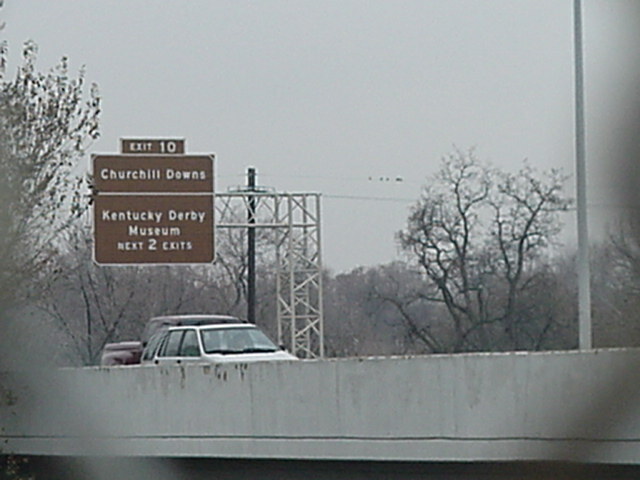 Big Brown Sign on the westbound Watterson. 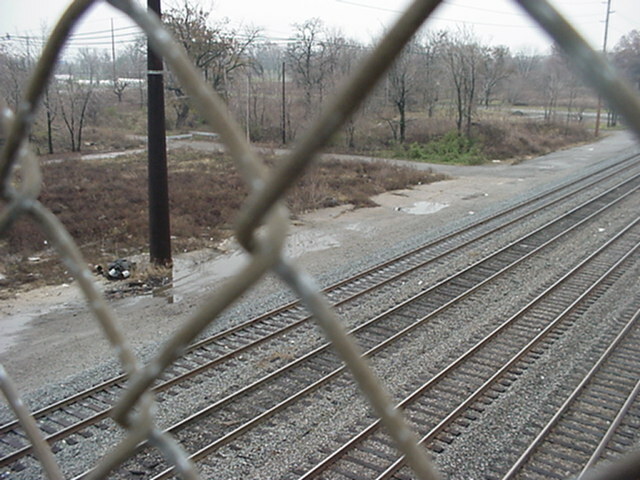 Looking south directly at the railroad tracks from the overpass. 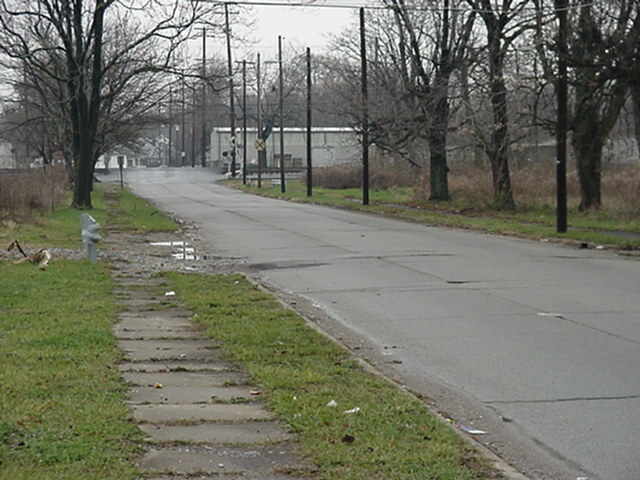 Looking south on western Louisville Avenue. Pretty much everything west (to the right) of the tracks remains intact. 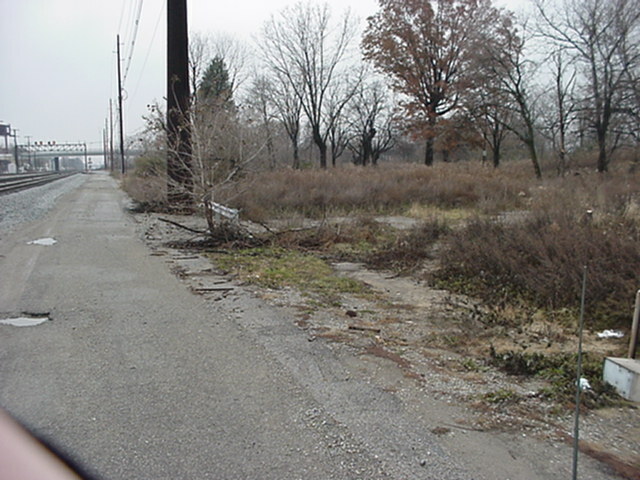 Looking southeast at Louisville Avenue's jog on Southern Heights. 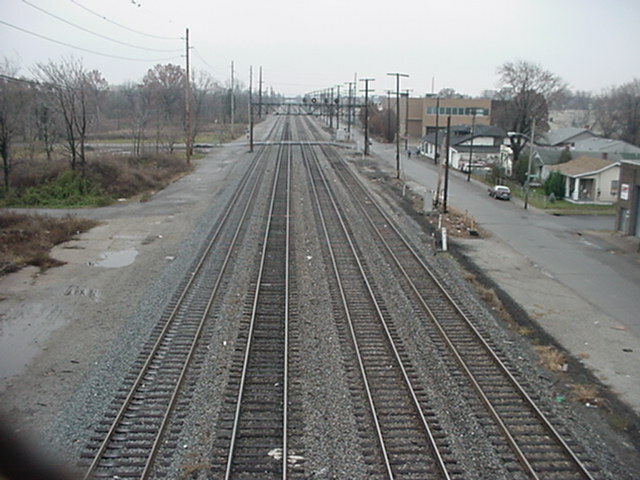 Another shot looking south at the tracks. 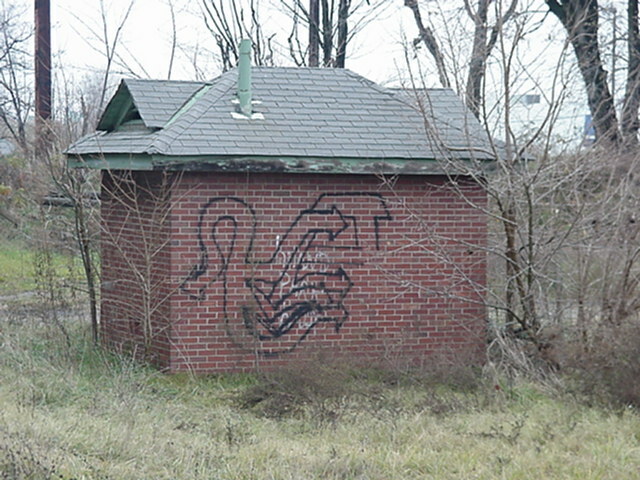 Despite the airplane noise, Highland Park is probably quiet enough for someone to sleep here. 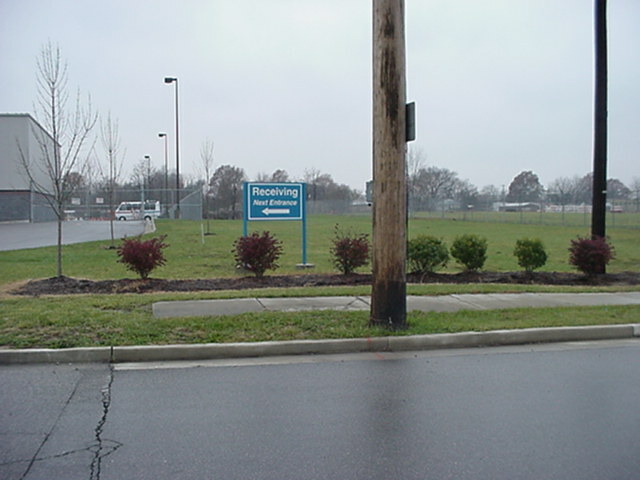 One of the 2/10-mile markers on the Watterson. 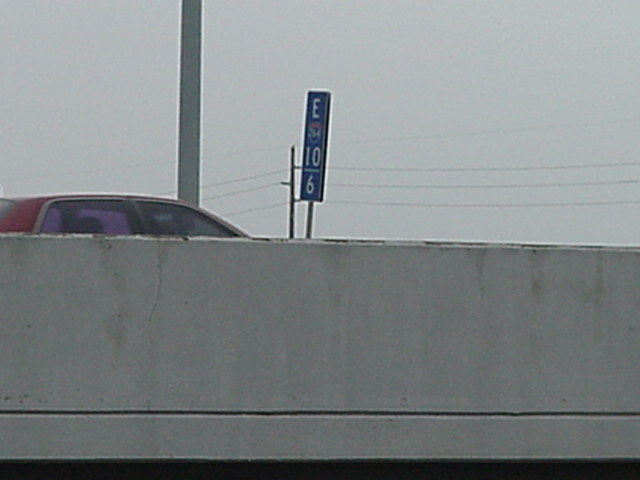 Another shot of the Big Green Signs for Exits 11 and 12. On the overpass coming down looking eastbound towards Park Boulevard. 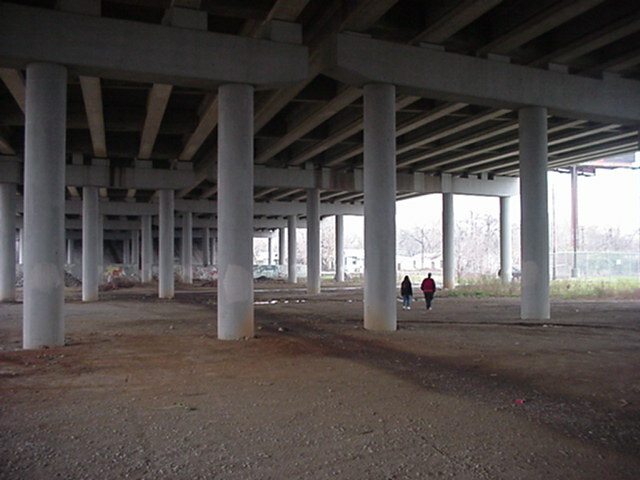 Another shot under the Watterson. 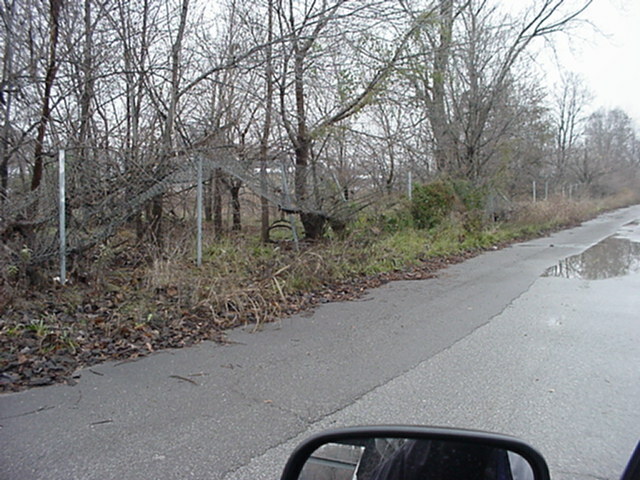 Some kids tore this fence between Louisville Avenue and the railroad tracks down about ten or so years ago. 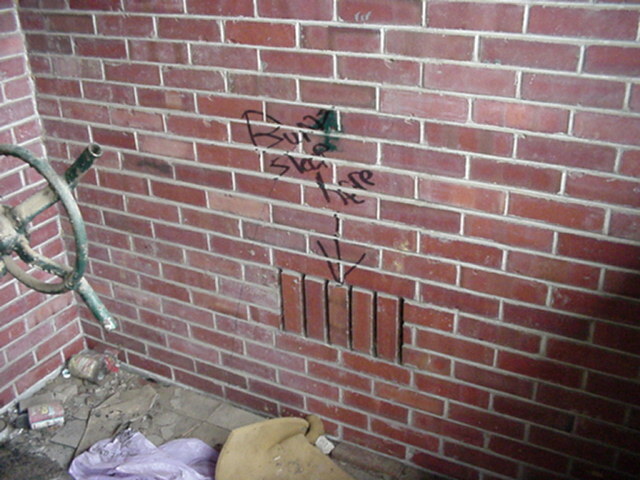 It's still torn down. I believe we're looking east on what was Seneca or an alley, now a field of grass. 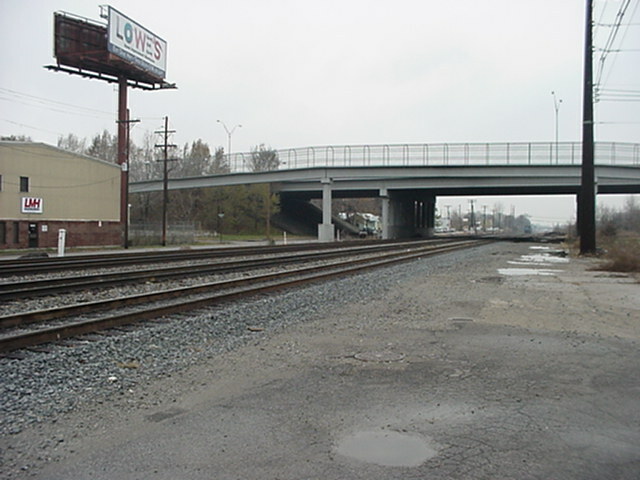 In this and the next few photos we are looking at where all the tracks leading to the L&N South Louisville Shops were once located. Now it's a parking lot of some sort. 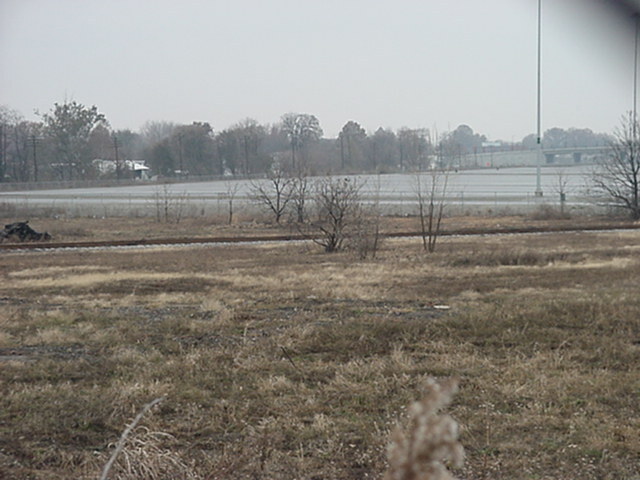 The Papa John's Cardinal Stadium, built over where the Shops once stood, is in the background of most of these. 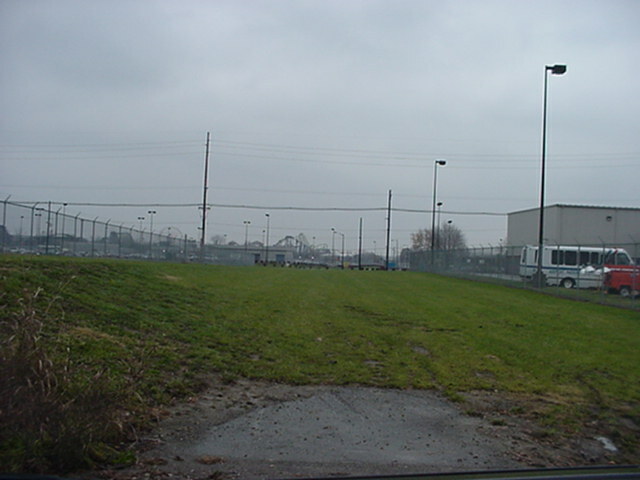 These shots were taken from Dakota Avenue between Louisville and Park. 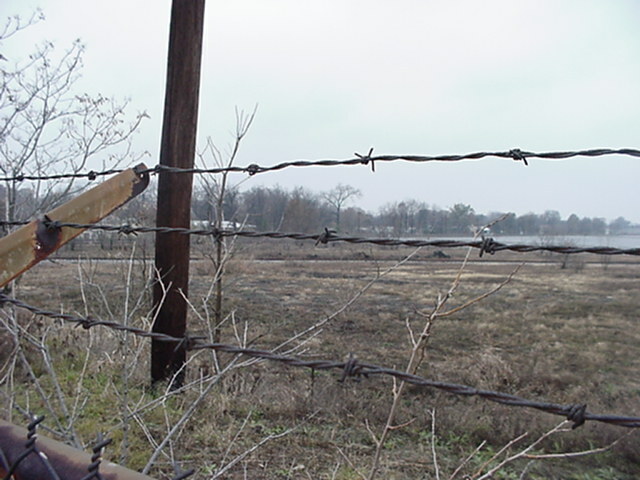 Some fenced-in property south of Dakota between Park and Louisville. 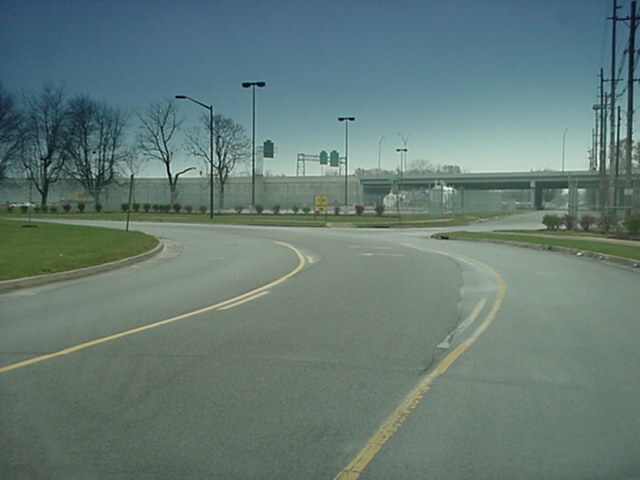 Looking south at the realigned intersection at what was Park Boulevard and Ottawa Avenue. 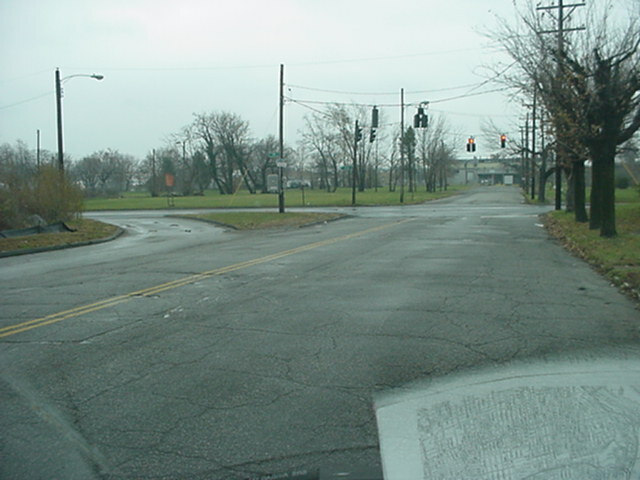 Park Boulevard, north and east of this intersection, is the street that makes a gradual 90-degree curve. 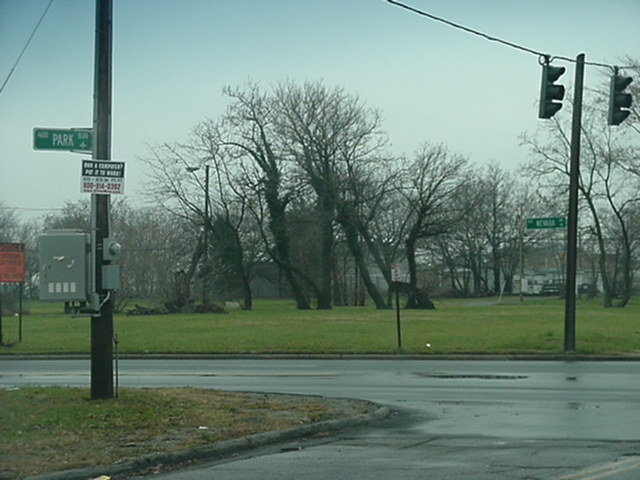 The sign indicates that ``Old Park Boulevard'' continues south. 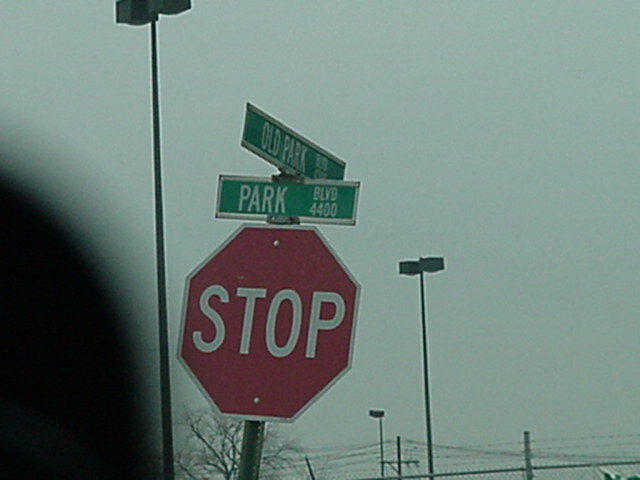 However, as we shall see in a moment, the signs on ``Old Park Boulevard'' south of the Watterson simply say Park Boulevard! Park Boulevard just south of Hiawatha, looking towards Nevada. The intersection of Park Boulevard and Nevada Avenue was also realigned with a separate turning lane from westbound to northbound. This picture was taken from inside the car through the windshield, hence the glare from the reflection off a trusty well-used copy of the Graphic Street Guide of Louisville. Looking closer to confirm the signs for Park and Nevada, installed no more than a few years ago when this particular style of sign with the fleur-de-lis started showing up in Louisville. 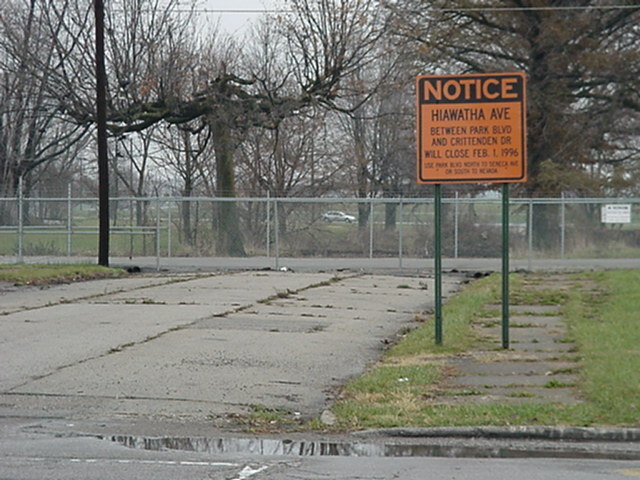 Signs for Park and Hiawatha, also installed no more than a few years ago. 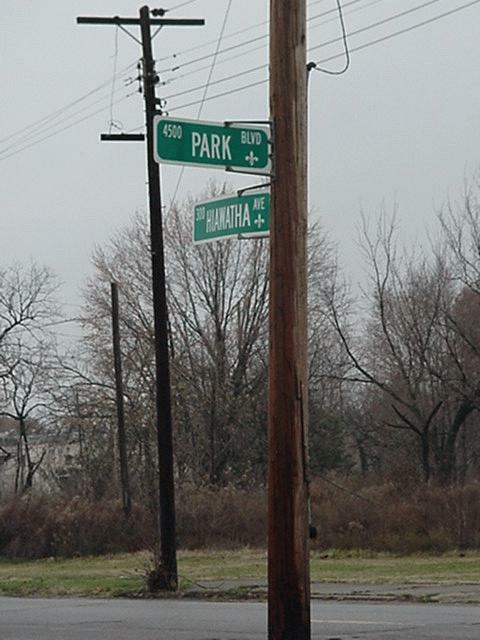 The intersection of ``Old Park Boulevard'' and Park Boulevard (formerly Park and Wawa). 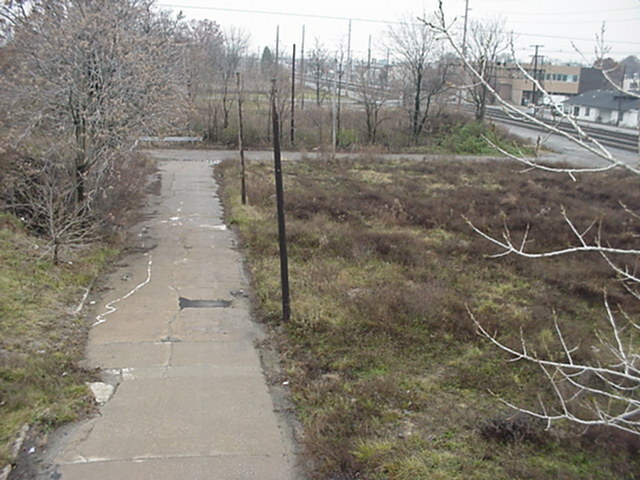 I believe this is looking west on where Wawa Avenue once was.